In the summer and fall of 1998, ultranationalist Polish Catholics erected hundreds of crosses outside Auschwitz, setting off a fierce debate that pitted Catholics and Jews against one another. While this controversy had ramifications that extended well beyond Poland's borders, Genevieve Zubrzycki sees it as a particularly crucial moment in the development of post-Communist Poland's statehood and its changing relationship to Catholicism. 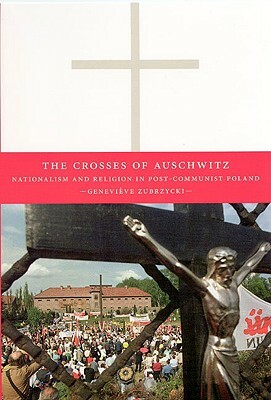 In "The Crosses of Auschwitz, "Zubrzycki skillfully demonstrates how this episode crystallized latent social conflicts regarding the significance of Catholicism in defining "Polishness" and the role of anti-Semitism in the construction of a new Polish identity. Since the fall of Communism, the binding that has held Polish identity and Catholicism together has begun to erode, creating unease among ultranationalists. Within their construction of Polish identity also exists pride in the Polish people's long history of suffering. For the ultranationalists, then, the crosses at Auschwitz were not only symbols of their ethno-Catholic vision, but also an attempt to lay claim to what they perceived was a Jewish monopoly over martyrdom.